The new slimmer, lighter Sony PSP handheld gaming console will cost around £114 and is set to launch in the UK before it goes on sale in Japan in September. Gaming trade magazine MCV says it has it on good authority that the new PSP will go on sale in Britain possibly as soon as late August. It's not due to go on sale in Sony homeland Japan until September 20. "This is an important new model," said Sony Europe president, David Reeves. "Once people get it into their hands they will feel the difference. It will come out at 169 Euros in all PAL territories at the beginning of September. "In Leipzig there will be a big demo of the video-out function and of new colours which will arrive after launch." A senior UK high street retailer told MCV: "We haven't had much information through about it, but we are aware that it will be coming into our stores at the start of September - maybe even late August." 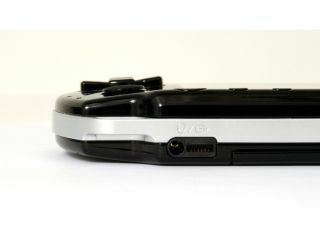 The revised PlayStation Portable comes in black or silver. It's a third lighter and around a fifth thinner than the existing model and has an unspecified longer battery life.